Put down your glass of Butterfly and take a moment to chew on this morsel: Mariah Carey’s Me. I Am Mariah… The Elusive Chanteuse almost wasn't Me. I Am Mariah… The Elusive Chanteuse. (Ugh. I shudder at the thought. That title is a work of art.) 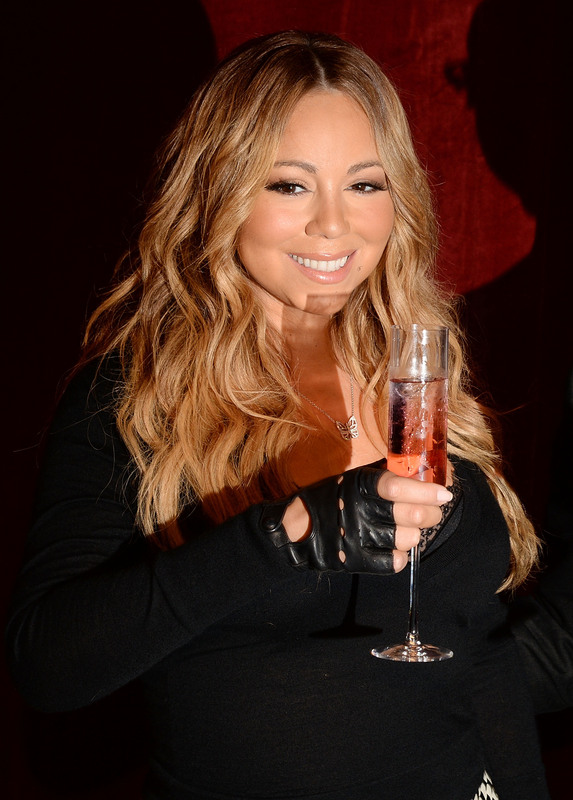 While promoting her new beverage at a recent press conference, Carey revealed her latest album was almost called M.C.E.O. O RLY? So, what does M.C.E.O stand for? Something poetic? Something crazy? Something magical? Oh. Okay. That's it? I... Huh. Yeeeeah, Me. I Am Mariah... The Elusive Chanteuse was the correct choice. Easily the best album title of 2014, no question. As Carey explained at the press conference, "I just went with the Chanteuse thing, 'cuz it was good." YUP. SO GOOD. Mimi isn't just one of the greatest voices of our time, but she's also one of the greatest at brewing up album titles. A Mimi album title usually falls into one of three categories: beautiful words (Butterfly, Charmbracelet, Rainbow, Emotions, Daydream, Music Box), a beautiful phrase (The Emancipation of Mimi, Memoirs of an Imperfect Angel, Me. I Am Mariah... The Elusive Chanteuse), or a beautiful Albert Einstein reference (E=MC²). Allow me to be frank: Mariah Chief Executive Officer doesn't fit in with any of 'em. It can't hold a candle to E=MC² or Rainbow. It's a fine title, sure, but it isn't on The Emancipation of Mimi's level, you feel me? Oh, that really derailed. I apologize. I'm hungry.